The Local Ocean Trust, amongst other good deeds, run the Watamu Turtle Watch rehabilitation centre, where turtles found by local fisherman, sometimes trapped in nets, sometimes just washed up and sick, are taken and treated until they are healthy enough to return to the sea. 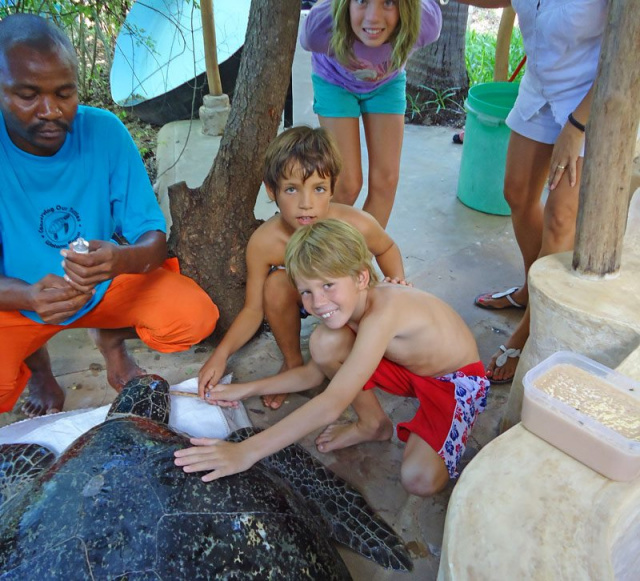 Visiting the Rehabilitation Centre is a fantastic way to see these magnificent creatures up close and to learn more about the life cycle of the various turtles that come back to Watamu every year. Bio-Ken Snake farm, is a reptile research centre, run by Royjan Taylor, specialising in snakes and snake bite treatment. 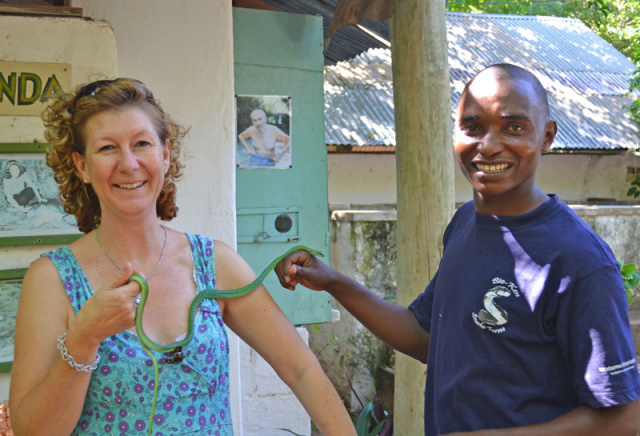 They house the largest collection of Snakes in East Africa and are dedicated to educating the local community in identifying snakes as dangerous or not. The love of snakes is obvious when you visit.